365 Grateful: base metal or awesome nature? There’s something fascinating about crystals. Rocks. Geodes. Creations of geology, of Mother Earth. 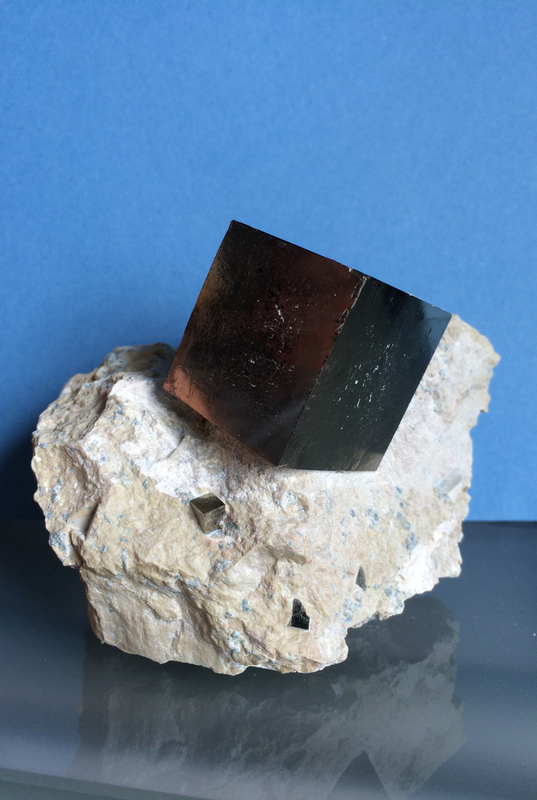 Particularly amazing are the iron pyrite crystals — fool’s gold. They’re not like any crystals you probably imagine. They’re square. Four-sided, square crystals. Super-fine specimens are smooth, others may be striated, depending on how and where and under what circumstances they grew. I picked these up at a relatively local rock shop; since then Charlie broadened my collection with an amazing specimen from Spain, in its original matrix. Awesome. Perhaps it’s because they remind me of square pegs fitting in round holes. Not a perfect fit … not at all. But just because they don’t match the classic concept of a crystal doesn’t make them any less of one. In fact, it makes them rugged, individualistic, unique — almost as though they’re growing to the sound of a different drummer. 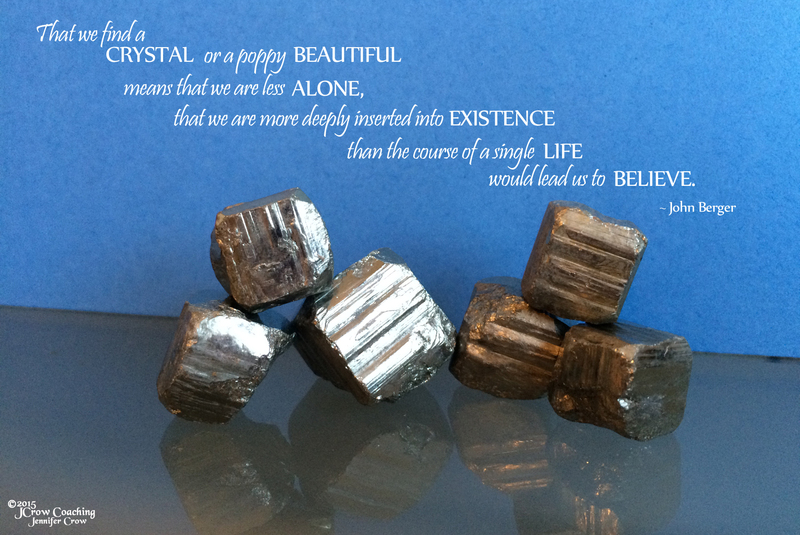 I’m grateful for these solid, square crystals, because they remind me that it’s OK to think for myself, to trust my instincts, to be authentic. Fool’s Gold? Maybe they should be considered True Gold instead.